But so much for all that. Let’s get down to the important stuff: Love and Parasites. Two conflicting subjects intertwined gracefully by Bonafont’s hand. The seven tales – which vary in length – are connected through the theme of love, as suggested by the title. A few of the stories are more prominently connected – one earlier in the collection is a mock-historic account involving a Dr. Morris Stanley; a later tale, set in a later time, involves characters’ findings connected back to Stanley. The ‘Parasite’ of the title appears to be a science-fiction driven exploration into the emotion ‘Love’. In the longest story, Bonafont uses the Parasites as catalyst to why humans behave irrationally when ‘in-love’ – which is an engaging theory. Love, its participants, and the relationship with science and machinery…these themes are a foundation to the work. Bonafont showcases his diversity as a writer – exhibiting a variety of writing styles, including the poetic and dark, “My lids droop. I am a canvas sack of stones and sand yearning for the earth”, to scientifically charged description “Countless tightly wound copper wire coils and arrays of foil “magneto-receivers”…”, and the humorous “…Jeremy professed his love in a multitude of ways…even extending to an inedible heart shaped cake”. This is the first collection of stories I have let loose onto the world. I know they are not for everybody, but if they are out there, inhabiting many heads, then they no longer have to lurk exclusively in my head, and I can maybe have some peace. Perhaps this is selfish. 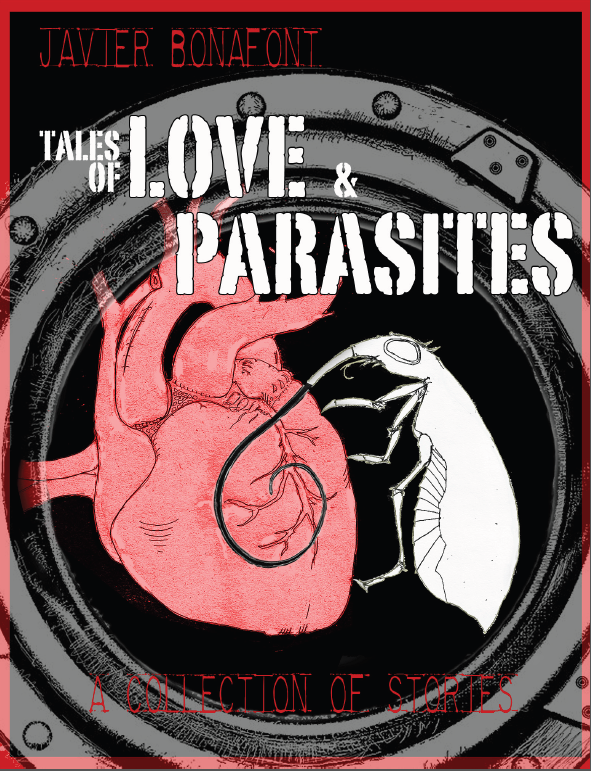 You can purchase Tales of Love and Parasites for the low price of a couple of dollars here.